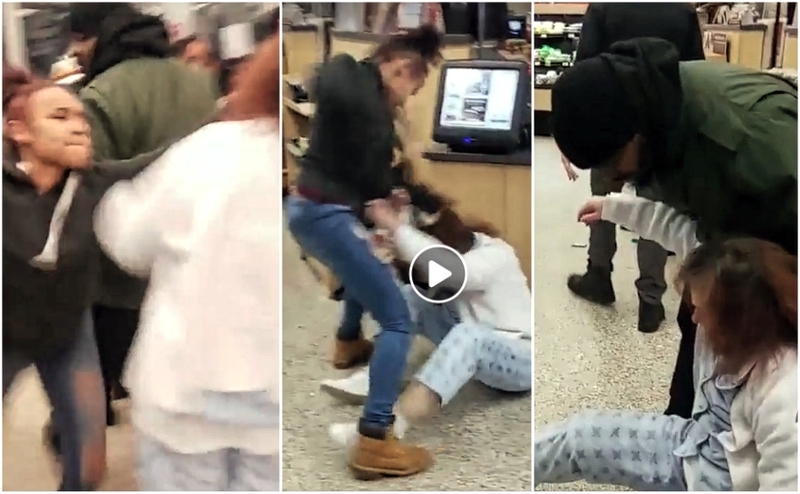 Screen captures from a social media video of a fight in a Cherry Hill Wawa. Credit: NJPEN. Destiny J. Davis and Diamond P. Howard, both of Camden City, were charged with assault in a confrontation with another female patron at the Route 38 Wawa. Police are looking for more information. Two Camden City women have been charged with assault after their altercation with a customer at a Cherry Hill Wawa. Now police are looking for more information about what led to the incident. Destiny J. Davis, 19, was charged with third-degree aggravated assault, and 18-year-old Diamond P. Howard was charged with simple assault. The incident occurred just after midnight November 17 at the Wawa in the 500 block of Route 38. Video posted by Facebook user A’meer Holloway captured almost a minute of the altercation, but not the circumstances leading up to it. In the video, Howard allegedly can be seen climbing onto the store counter and spitting at the victim while yelling at her, according to a statement by Cherry Hill Police. Authorities identified Davis as the second assailant seen knocking the woman to the ground in a flurry of blows. Davis and Howard and both were arrested for disorderly conduct at the scene, but it wasn’t until social media video of the encounter began circulating that simple assault charges were filed against Howard. Detectives are seeing more information about the incident and the events leading up to it. Anyone with details is asked to call Cherry Hill Police at 856-488-7833, or to submit an anonymous tip via this link, or at tips@cherryhillpolice.com. Any person charged with a crime is presumed innocent until and unless proven guilty in a court of law. An arrest is not a conviction.